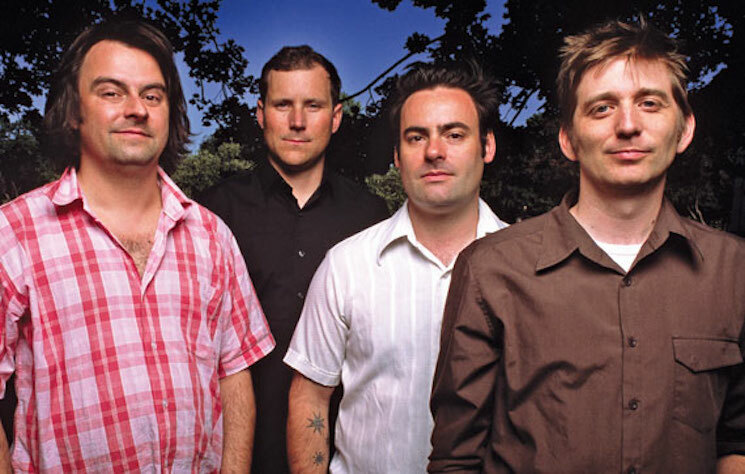 Beloved Winnipeg band the Weakerthans haven't released an album since 2007's Reunion Tour, which they followed up with their Live at the Burton Cummings Theatre release in 2010 and the collaborative Jim Bryson LP The Falcon Lake Incident that same year. It now looks like these may be the last releases we get from the band under than moniker, as they've reportedly called it quits. It's an interesting choice of words, since Tait seems to be the only one getting the word out about the Weakerthans' demise. Either way, we've reached out to Weakerthans frontman John K. Samson and will update if and when he returns our calls. UPDATE: On their Instagram page, CBC Music posted an image of a Weakerthans puck, explaining that guitarist and manager Stephen Carroll confirmed that the band is finished.